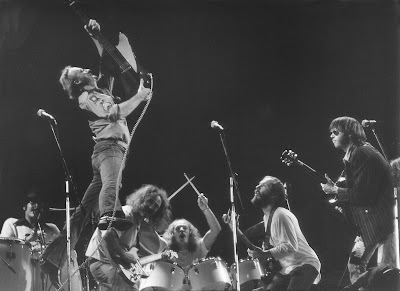 Neil Young News: Photo of the Moment: Crosby, Stills, Nash & Young & Jimmy Page - 1974? 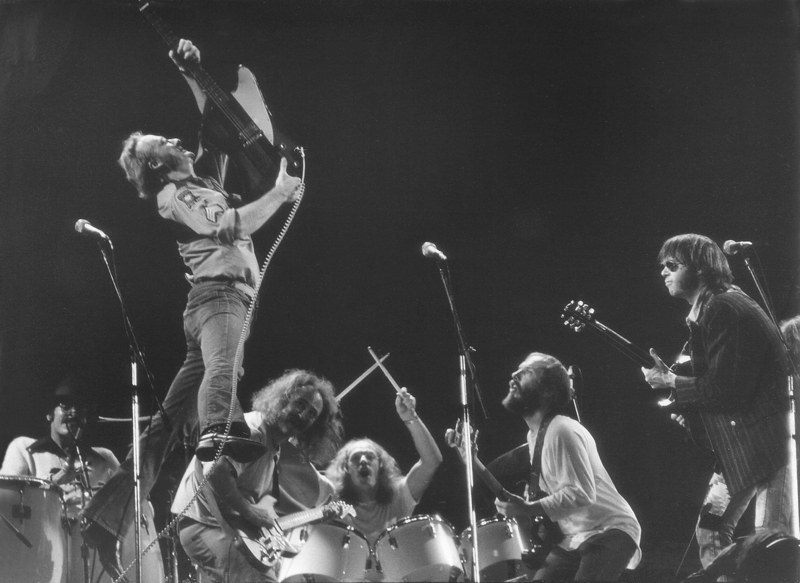 Photo of the Moment: Crosby, Stills, Nash & Young & Jimmy Page - 1974? UPDATE: See SOLVED: Photo of the Moment - CSNY & Jimmy Page, 1974 for photo details. The Photo of the Moment is of Neil Young, Graham Nash, Stephen Stills & Jimmy Page. The photo is of unknown origin. It appears to be from the time of the 1974 stadium tour in a nightclub somewhere. Possibly CSNY concert at Wembley Stadium, London, England, 1974-09-14? If anyone has any info, drop a comment below. In my book by John Robertson it says that after thw Wembley show, "CSNY attend a party at Quagliino's in Piccadilly, where Young and Stills jam with members of Led Zepplin and The Band, perfoming Vampire Blues and On The Beach among other songs." Oof! Too awesome. New most-desired tape! What book is that from? I have every book about NY I know to still be in print (Johnny Rogan's ???) except for NEIL AND ME by his dad and Kevin Chong's NEIL YOUNG NATION, but I do not know of one by John Robertson. I will gladly sell my soul to the Devil to get a hand and a ear on that recording, if it even exists! Sorry for the double post... I would delete one if I knew how. But how about that shot (the only one I have EVER seen) of Neil rockin' a Rickenbacher? Yes this was the after Wembley party. UK music press at the time covered it. The date is listed in Ghosts On The Road by Pete Long. It was after the Wembley Gig. It´s a shame that you can´t see it on the photo but that´s John Bonham on drums! Unfortunatly no tape from that performance is known to exist! The book is called "Neil Young: The Visual Documentary" by J0hn Robertson. Got it as a gift in the 90's, not sure how easy it is to find. Great book I've always returned to. It goes thru every known recording/show/event dated in chronological order. Great pics and info not available elsewher. But you also must read Neil & Me. Thanks brother Syscrusher! I will try to hunt down a copy! I've read about that jam on jhonny rogan biography of csny... I don't have the book with me, sorry. Rickenbacker Guitar: I swear I saw a picture on Neil on this very same blog playing that guitar before the Chrome Dreams II tour started. I recall he had a bucket hat on too. There was thought he was going to tour with it. Rickenbacker Update: My memory was a bit faulty. he had the bucket hat, but was playing a Hagstrom. Look at the Thrasher Wheat archives from Sept 2007 (Sept 24, 2007 to be exact). We'll post an update later this week. Not to change the subject, but can anyone tell me what the Neil Young and Crazy Horse tour dates listed on neilyoung.com refer to? See link below. The only one I can make sense of is the Music Cares date. 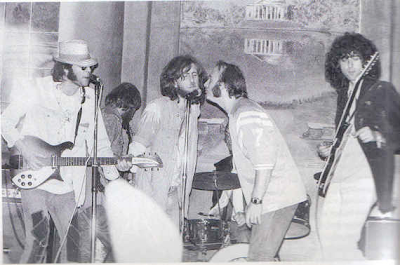 There's also one photo from the same event with Stephen Stills on drums... Cheers!